Pillar 1 of plan "brings up forest to tie with citizen in the next generation"
Based on "the urban greenbelt method," we permanently keep green tract of land with unity in city, and green zone preservation district system is system to maintain environment of town which is full of green especially. As of February 5, 2019, we appoint 164 district (about 486.8ha) (PDF: 144KB). Natural beauty or scenery being superior. Have to keep in good condition appropriately as habitat of the animals and plants or locality. In Yokohama-shi, we perform city planning decision from landowner about green tract of land with unities almost more than 1, 000 square meters to correspond to one of such requirements after having had green zone preservation district-designated written consent especially and push forward designation. Suburban green zone special preservation district system is system to permanently keep the large-scale forest ground having particularly good natural environments in good condition in suburban green zone preservation area based on "the metropolitan area suburbs green zone preservation method". As of February 5, 2019, we appoint 3 district (about 194ha) (PDF: 259KB). Suburban green zone preservation area is metropolitan area scale, and country appoints main green belt. 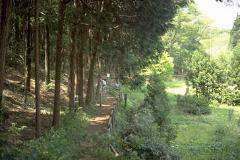 Suburban green zone preservation area in Yokohama-shi is 1 area of "Mt. Japanese yen sea, Kitakamakura suburban green zone preservation area". Effect of healthy mental and physical maintenance of local inhabitants of capital which is provided by establishing city planning about suburban green zone special preservation district and the outskirts and increase or pollution in these areas or prevention of disaster being particularly remarkable. Have environment of particularly good nature. We make city planning decision and appoint after landowner gave suburban green zone special preservation district-designated written consent to about land corresponding to such a condition in Yokohama-shi. Property tax valuation becomes up to 1/2. In the case of the forest and the wilderness, valuation of inheritance tax and gift tax falls 80%. Act permission application in green zone preservation district becomes suppression especially, and is remarkable for the soil geographical advantages; when affect, it is possible for proposal of purchase for city. When we sell to Yokohama-shi, we may receive subtraction to 20 million yen about capital gain in particular. Please keep designation area as the present green tract of land. As a general rule, by landowner is managed. As a general rule, in designation area, act to affect the forest is prohibited.